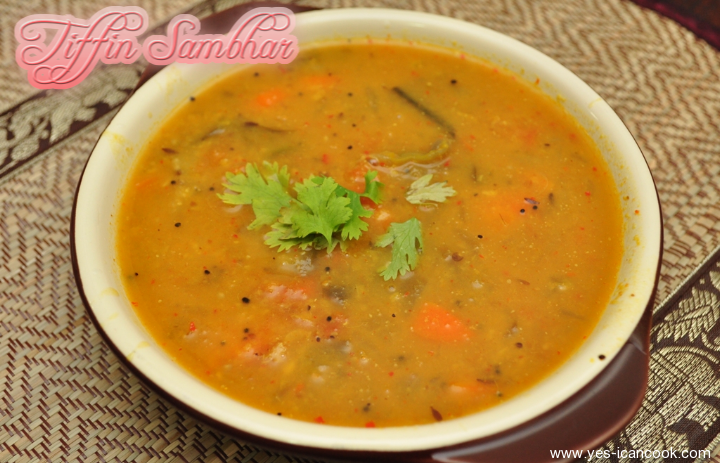 This is an easy and delicious sambhar recipe that goes perfectly well with Idli / Dosa / Pongal. 1. Wash the moong daal and pressure cook for 3 whistles. Mash and keep aside. 2. Roast the ingredients under sambhar powder and grind to a coarse powder once they cool down. 3. In a vessel heat ghee or oil and add the mustard seeds and let them splutter. 4. Add the cumin seeds followed by curry leaves and asafoetida. 5. Add the onions and green chilli and fry till onion turns translucent. 6. Add the vegetables and tomato and fry for 2 minutes with some salt. 7. Add tamarind extract and some water and bring to a boil. 8. Simmer and let the vegetables cook. 9. 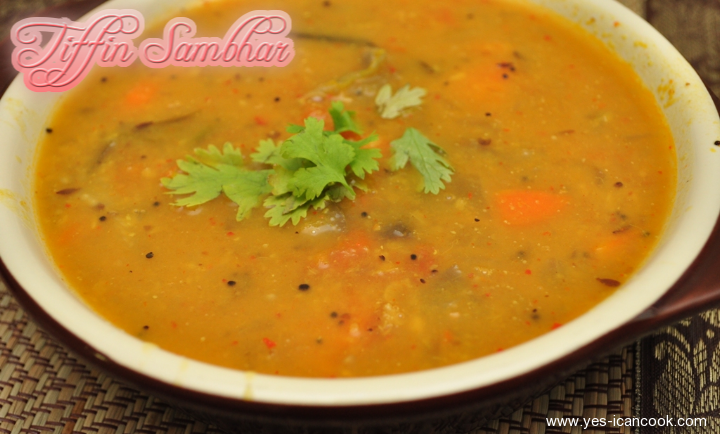 Add coriander leaves, curry leaves, turmeric powder, asafoetida and jaggery and mix well. 10. 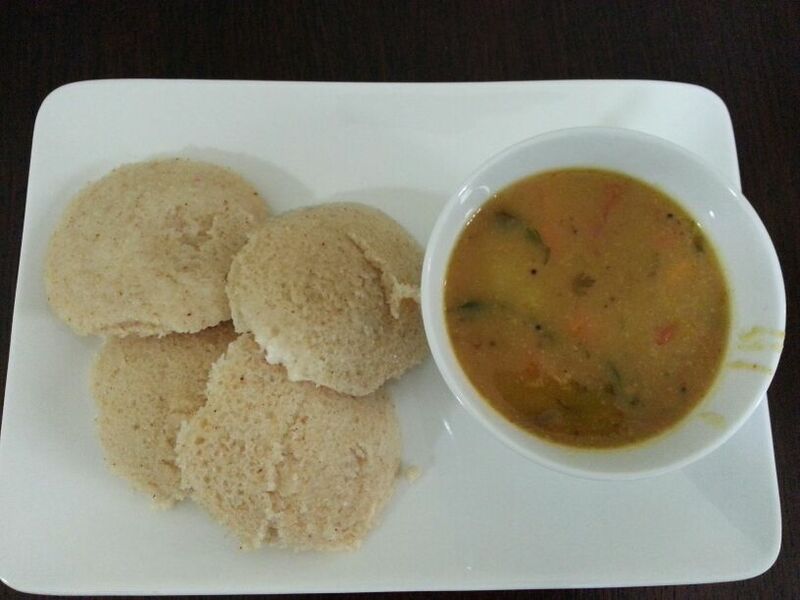 Add sambhar powder and bring to a boil. 11. Add the mashed daal and mix well. 12. Adjust consistency as required using water. Bring to a boil.